At Toomey Motor Group we will process your data using the lawful bases of contractual obligation and legitimate interest – complying with General Data Protection Regulation (GDPR) and the Privacy and Electronic Communications Regulation (PECR) – based on the following conditions: we are fulfilling our contractual obligations to you; we are fulfilling something you have asked us to do prior to entering into a contract with us (e.g. a vehicle/servicing quote); contact details are obtained during a sale (or negotiations of a sale) of a product or service; we will only market our own similar products or services; we will only be contacting you on timescales that you might reasonably expect to be contacted in; we provide a simple opportunity to refuse or opt-out of the marketing when information is first collected, and in every subsequent communication. We have categorised our data processing into the following sections – and outlined when communications could be received. It is our duty to ensure that data processing does not fall outside of these parameters. We believe this policy demonstrates how you might reasonably expect your data to be processed in the following ways. Under the principles of accountability and transparency we would like to outline below the many ways we process individual data. your right not to be subject to automated profiling and decision making. The right to object and right not to be subject to automated profiling and decision making does not apply when we are using the lawful basis of contractual interests; and the right to data portability does not apply under the lawful basis of legitimate interests. Toomey Motor Group consists of multiple trading franchises – each identified as separate legal companies. We make every reasonable effort to ensure that all of our records are accurate and not duplicated. We also make sure that we are clear about how we will process your personal information depending on how you interact with our businesses. We are currently in the process of displaying our contact preferences web address on all correspondence with you so that you can rectify our records of you or update your communications preferences. We will predominately be using the lawful basis of contractual obligations to fulfil your requests – along with legitimate interests in some categories. We believe we can demonstrate that we are fulfilling our contractual obligations to our customers; our customers would reasonably expect to be contacted in the following ways; that it is within our commercial interest to keep in contact with our customers in the following ways; and that our customers can object to this processing at any time. We will use your information to fulfil any request you have with us. Where you have made enquiries about our services; purchased something from us; or had a repair with us; we will assume your implied consent to receive information about promotions, events, products, services or information from our various departments that are relevant to your enquiry or purchase. This applies to the use of our online forms or services we provide via our website - for example vehicle valuations or motor credit checks. To fulfil our legitimate interests or as part of our contractual obligation your information is also shared with several third-party partners who act in tandem with our business - we will outline all the details of these companies in this policy. This section refers to Toomey Motor Group fulfilling the requests you make to us (ie test drives, service requests, brochure requests, vehicle enquiries, quotations). This also refers to us providing vehicle support and services (eg warranty; servicing; MOT). We will use the information you provide to do this. Depending on your relationship with our company (ie if you enter a customer relationship with us) your information may then be processed further as outlined below). 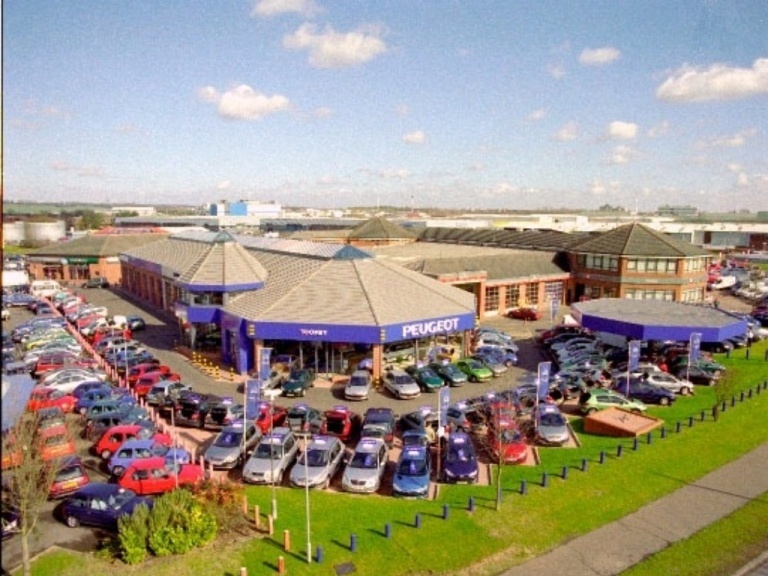 Toomey Motor Group records enquiries for Sales and Aftersales services. Enquiries can be made face-to-face; digitally (online forms); or on the phone. Sales-related enquiries are processed in a system called Dealerweb; service-related enquiries are processed in a system called ADP/MDF. It is our duty to use this information to fulfil your request with us ie booking a service or making a sales appointment – this may involve you being contacted via a phonecall; email; or SMS, and you will be contacted by the department responsible for fulfilling your request. On occasion (sales only) your data will be temporarily processed in a Google Sheet in conjunction with being formally recorded on Dealerweb during specific marketing campaigns – in order to provide quick and convenient access to the staff and management involved in the processing and success of the campaign. This information will be permanently deleted once it has been fully recorded on Dealerweb. Our executives will attempt to contact you to fulfil your request, but after 12 months of no contact we will assume you no longer want to be contacted for this initial request (sales/service). We may retain your details with your implied consent in order to contact you about other relevant products or services. If your enquiry is no older than 12 months we may send you information that will be relevant to the brand/products you have been discussing with our business – with your implied consent – this information may be via SMS, phone; email; or post. You may be contacted periodically into your sale with Toomey Motor Group by one of our sales executives to make sure you are happy with your purchase – a courtesy call. This contact may be via SMS, phone, email, or post. You may be contacted towards the end of your sale by one of our sales executives in order to check what your next steps might be and if you would like to re-engage with Toomey Motor Group for your next purchase. This contact may be via SMS, phone, email, or post. 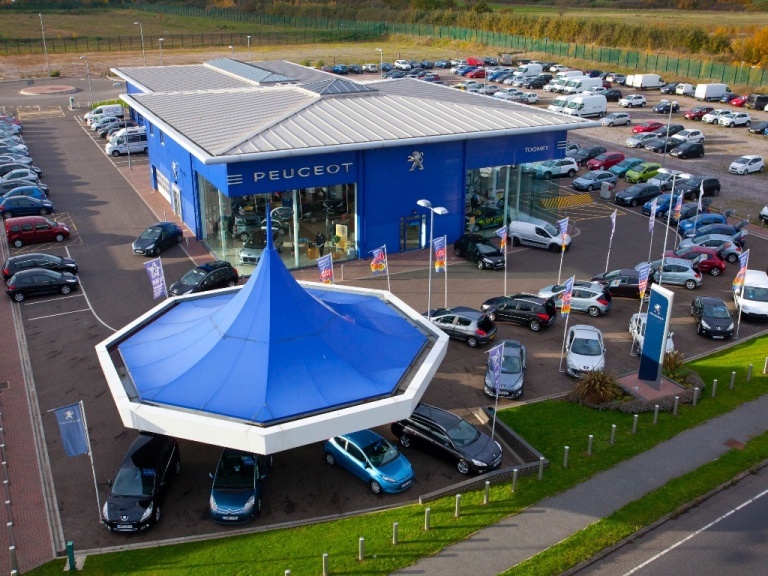 Your relationship with our sales department after you become one of our customers may involve regular contact with our teams to discuss your purchase and future options with us – as part of our contractual obligations to you. In the same way, we also have a contractual obligation to our aftersales customers to keep them informed about the status and health of their vehicle in the form of MOT reminders; service reminders; recall notices. Your details are stored on our system (ADP) - these details are also sent to a management software for service/MOT reminders (MDF). These details are used to process your request and/or remind you of any upcoming repair work you may have with us. This contact may be via SMS, phone; email; or post. Toomey Motor Group does record your data if you have booked a service and then cancelled. This data is not processed in any other way other than to fulfil the booking. This data will be retained for 12 months. See section 2 below for details on further processing when somebody becomes one of our service customers. Toomey Motor Group does record and store your data when you have enquired about purchasing a vehicle/having a test drive with us but have not yet purchased a vehicle. This data is stored in Dealerweb as is common practice in the Automotive Industry. We believe it is reasonable for our executives to attempt to contact via phone, email or SMS before closing your enquiry down from further processing – under our contractual obligations to fulfil your request. If you have been in contact with us for a repair in the last four years we may process your data in order to provide you with relevant products and information. This information will only be relevant to the vehicle brand/service you are interested in and will not be processed outside of the range specified above. This contact may be via SMS, phone; email; or post. If you are an existing sales customer you may be provided with products and information after your sale. This information may be provided via SMS, phone, email, or post. You will only be contacted in a reasonable time period. You will only receive information related to the products/brand you have shown an interest in. You will not be contacted in this manner 5+ years after your sale. At the point you have not engaged with our sales or service departments for 5+ years your data will be removed from our systems - see section below on ‘How long do we hold your data for?’. Toomey Motor Group is currently making all reasonable effort to ensure our existing database complies with this policy on data retention – and updates will be made to inform our customers when this is complete. You may receive online advertising through digital platforms operated by other companies ie Google and Facebook. This will be because those platforms have identified you as a member of the advertising audience that we are targeting. This is not based on any personal details we hold and does not lead us to be able to identify you as an individual from the data these applications generate. We may be able to identify when you have received, opened or engaged with electronic communications sent by us – this data is used for marketing effectiveness analysis and is retained for 12 months. Full details of the applications and cookies used in this section will be outlined in this policy. We may use your information to contact you and check the accuracy of this information to create a better understanding of you as our customer. We have a responsibility to maintain accurate and up to date records. We will process your information to inform you of updates to our terms and conditions and relevant policies. We do not sell your information to any third parties. Your information is sometimes disclosed/visible to the following types of company who handle services on our behalf or manufacture the vehicle you own: roadside assistance service providers, customer contact centres, mobility and car hire providers, direct marketing communications agencies and consultants, market research and market analytics service providers, review providers, our legal and other professional advisors. We have connections to several financial service providers as a Dealership – and information is passed to them at point of vehicle registration. In the agreement you sign with them it will outline that they are a data controller at point of collecting your details. As such they become a separate data controller to Toomey Motor Group with their own separate consent and privacy notice. We will occasionally act as a processing agent on their behalf by being sent data from these companies. This process is independent of your contact preferences with Toomey Motor Group and any updates you wish to make must be communicated directly to them. We may from time to time receive personal data directly from the manufacturers we represent - not from the financial service providers working alongside them. In these instances Toomey Motor Group and the Manufacturer are identified as separate data controllers and each are satisfied that they can process this personal data under their own policies. Vauxhall Motors Limited; Nissan Motor Manufacturing UK; Peugeot Motor Company; Citroen UK LTD; Renault UK LIMITED; Renault UK Limited trading as Dacia; AutoVHC Ltd; CitNow Ltd; Chez Vision Marketing Limited; Hyperclicks Ltd; Trello Inc; Campaign Monitor Pty Ltd; TextAnywhere Limited; AutoExcel Ltd; Rhino Events LTD; Judge Service Research Ltd; Google LLC; Facebook Inc. Infinity Tracking Ltd; 21st Century Internet LTD; MDF Database Solutions Limited; Cotswold Vehicle Recovery Limited; Dent Wizard Ventures Ltd; Crow Auto Services Ltd; Auto Electronic Systems LTD; Kwik Fit (GB) Limited; Balgores Motor Group Limited ; Astra Signs Ltd; Secure Valeting Ltd; AutoImaging Ltd; Car Care Plan Ltd; RAC Motoring Services; Hilton Windscreens Ltd; Anglian Auto Recovery Ltd; Rochford Tyres and Exhausts Ltd; Mobile Alert UK; RCI Bank UK; Vauxhall Finance PLC; PSA Finance UK LTD; Sixty Four Deluxe Ltd; Supagard Limited; Scotts Trading Limited; Evolution Funding Ltd; UK General Insurance Limited; Motability; Clydesdale Financial Services Limited trading as Barclays Partner Finance; Santander Consumer Finance; Blue Motor Finance; Evolution Funding Ltd; Pinnacle Financial Contract Limited; Trustpilot A/S; eMaC Service Plans; iDeal File. All personal data associated with Toomey Motor Group is stored within the EEA – with the exception of Campaign Monitor Pty Ltd, our email marketing software; and Trustpilot A/S, review provider. Some aspects of these websites and services provided in these instances are supported and hosted outside of the EEA - such as the US. These companies are required to protect personal information they are processing from outside the EEA, in accordance with EU data protection law. We do not retain your personal information in an identifiable format for longer than is necessary. If we have a relationship with you (e.g. you are a customer or the registered driver of a leased or other vehicle purchased from us; or have engaged in vehicle repairs with us) we hold your personal information for 5 years from the date our relationship ends. We hold your personal information for this period in case we need to establish, bring or defend legal claims. Our relationship may end for a number of reasons including where the vehicle warranty or lease expires, or we have been made aware that you no longer own or drive that vehicle. This includes our Motability Customers. Where we have obtained your personal information following your request for information, a test drive, brochure, quotation or any other information on any of our products or services, we may hold your personal information for 12 months from the date our relationship ends, unless during that period you extend your relationship with us e.g. you purchase or lease a vehicle; or engage with our repair services, in which case we will retain your information during your relationship with us, and for 5 years after that relationship ends. This includes our Motability Customers. Customer vehicle sales data is stored in ADP and Dealerweb - customer vehicle service data is stored only in ADP. Our executives will attempt to transact your enquiry within 90 days where possible - but in some cases you may be contacted outside of this window if our executives are maintaining contact with you in order to fulfil your request. When you or a Toomey Group employee closes down the enquiry it will then enter the 12 month retention period mentioned above. On occassion a customer order for a vehicle will be unsuccessful for multiple reasons - the hard copy files for these will be responsibly destroyed at this point. The customers personal details will still be retained as the enquiry stage in Dealerweb for the established 12 month retention period from the point our relationship ends. Toomey Motor Group is currently making all reasonable effort to ensure our existing database complies with this policy on data retention – and updates will be made to inform our customers when this is complete. We have tried to make this process as simple as possible – by creating an online form for you to submit a request to us that will be recorded for verification purposes. You can do this as many times as you want to keep your records as accurate as possible and we encourage you to do so. Remember to let us know as many details as possible about the pieces of information you may have given us in the past to process your access requests – for example if you have given us two phone numbers and would like both of them removed – let us know. You have the right to opt-out of receiving any communication from us. In support of this we are currently in the process of making the above URL available on all of our correspondence with you. You have the right to tell us to make corrections to the data we hold on you, if necessary. You have the right to ask us to erase information we hold about you and you can object to us using your personal information, unless we have a legal reason that we cannot erase or stop using your information. You have the right to data portability to another organisation where we do not rely on our legitimate interests for the processing. In relation to most rights, we will ask you for information to confirm your identity and, where applicable, to help us search for your personal information. Except in rare cases, in which case we will let you know as soon as possible, we will respond to you within 28 days after we have received any request. We take the security of all the data we hold seriously. Relevant staff are trained on data protection, confidentiality and security. Most browsers are set to automatically accept cookies and if you're using Microsoft Internet Explorer, Mozilla Firefox, Safari or Google Chrome you should be able to configure your browser to restrict or block cookies, or you may wish to delete them. Please note that should you block all cookies, you may not be able to use some of the forms and other functionality on this website. If you block our tracking cookie only, your use of our site during a session should not be affected. We hope that you won’t ever need to, but if you do want to complain about our use of personal data, please send an email with the details of your complaint to data@toomey.uk.com. We will look into and respond to any complaints we receive. The data controller for Toomey Motor Group is Laindon Holdings Limited, our parent company.